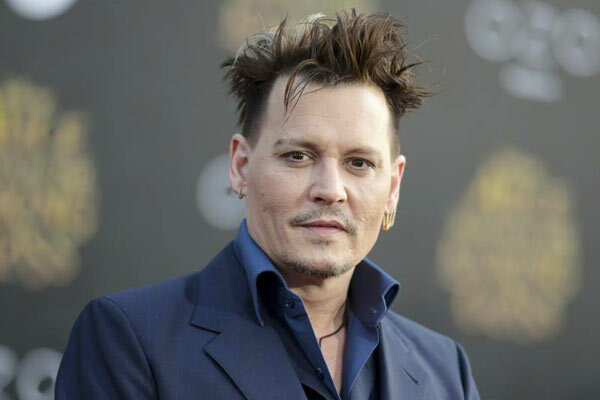 MUMBAI: Actor Johnny Depp, whose life has been marred by several problems and issues including legal troubles, financial woes and a tumultuous, shrouded personal life, says there was a point when he was as low as he could have gotten. Depp had a highly publicised divorce from actress Amber Heard, which was finalised in August 2016, following a legal battle. After Heard's allegations of spousal abuse, which Depp has vehemently denied -- his legal troubles continued to spiral. Depp claims it isn't because he doesn't want to memorise a script. Rather, it's the engineer's job to play him specific sounds to allow his to convey emotions with his eyes. On his wine budget, Depp said, "It's insulting to say I spent $30,000 on wine. Because it was far more," he said. MUMBAI: Actress Amber Heard looked back at the time when she raised her voice about the physical and emotional abuse by her former husband and actor Johnny Depp all alone. MUMBAI : Singer Liam Gallagher has found a new friend in actor Johnny Depp to share cigarettes and alcohol with at the pub. MUMBAI: Singer Taylor Swift will open the upcoming 58th Annual Grammy Awards on 15 February in Los Angeles with a song from her Grammy-nominated album ‘1989’.